While this year’s hunting season is winding up, it’s never too early to think about getting ready for next year. Whether it’s deer, squirrel, ducks, dove or turkey, there are important hunting rules and guidelines both youth and adults must follow. Organizations like the Florida Fish and Wildlife Conservation Commission (FWC) and your local UF/IFAS Extension Office provide programs to keep you on target each hunting season! Safety is a key element of any shooting sport. If you’re using the Hunter Safety Mentoring Exemption and hunting under the supervision of a qualified hunter, you are exempt from this requirement. 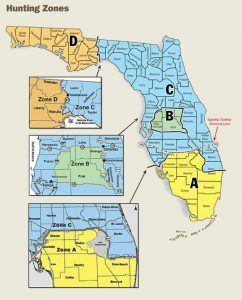 Our district covers Zone D – Escambia to Gadsden/Wakulla & Zone C – Leon & Jefferson. Map courtesy of FWC. 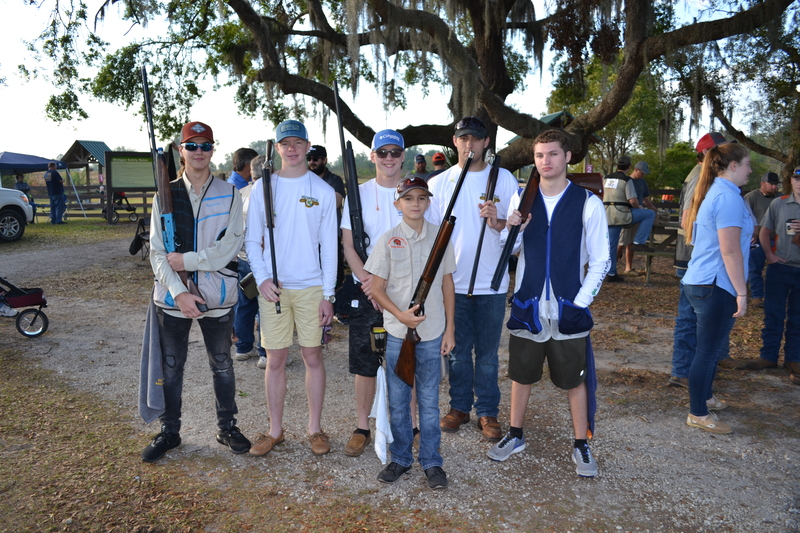 Hunters should strive to be good stewards of Florida’s resources to keep this sport a tradition for generations to come. Take the time to determine what hunting zone you live in. Your zone determines your hunting season – meaning the appropriate time you can collect specific game in that area. 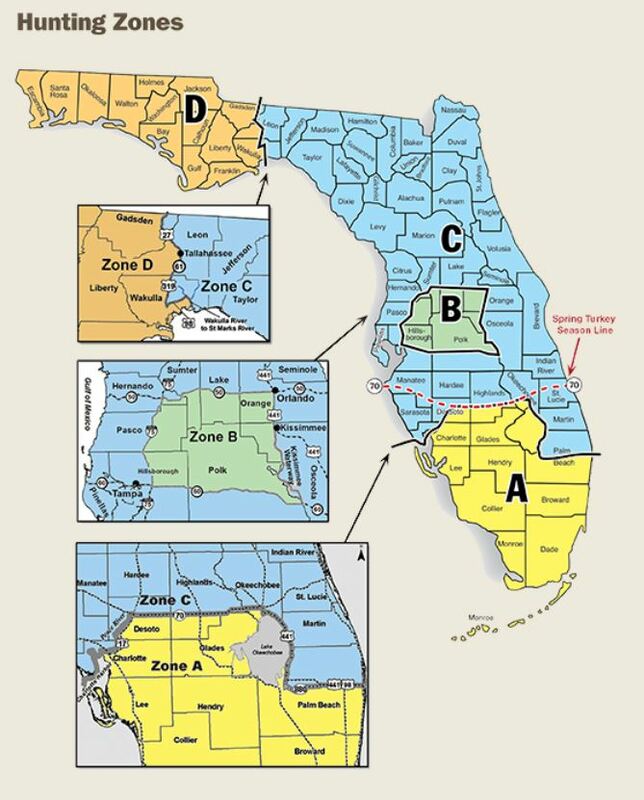 You can find the Florida Hunting Zones Map here: http://myfwc.com/hunting/season-dates/zone-map/. Next, check the annually updated hunting season dates and bag limits related to your zone to stay in compliance with FWC regulations: http://myfwc.com/hunting/season-dates. Find your local UF/IFAS Extension Office and determine if there is a 4-H Shooting Sports program in your county. 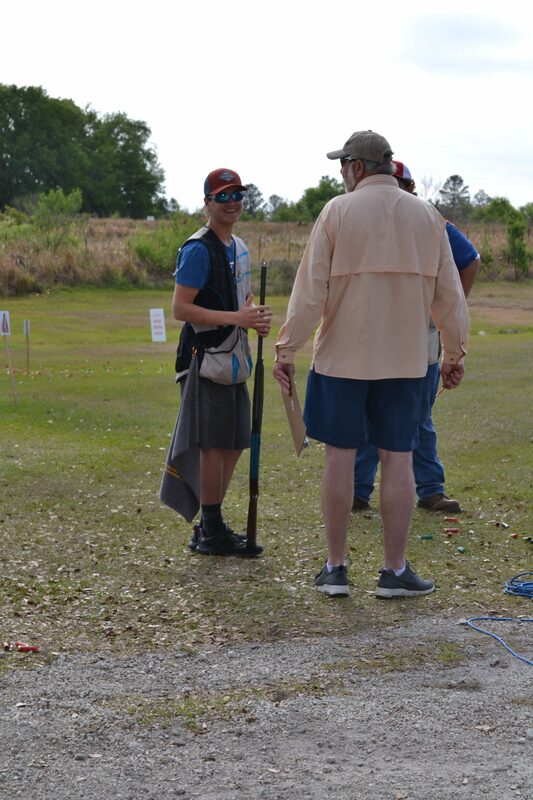 Participation in a 4-H Shooting Sport program provides year-round opportunities for youth to not only practice their discipline but also to explore other disciplines in a safe, inclusive, environment with 4-H volunteers/mentors! 4-H grows important life skills like responsibility, goal setting and teamwork in youth through shooting sports. 4-H Shooting Sports includes air rifle, small bore rifle, archery, shotgun, muzzleloading and hunting and develops important life skills in a safe and educational environment. Shooting sports day camps are popular during the summer, so ask you 4-H Agent if one will be scheduled for you county. Would you like to become become 4-H Level 1 Certified to coach and teach youth shooting sports? If you are already enrolled as a 4-H volunteer, log in to your profile and register for the February 16th hands-on training in shotgun and archery. You’ll also complete five online learning modules as part of your training. If you’re new to 4-H, enroll at florida.4honline.com, and let your county 4-H Agent know that you are interested in teaching shooting sports.